The lecture series begins on February 22nd, 2019. Please join us for the lecture ‘Theory and Design in Contemporary Landscape Architecture’! The lectures are held in English and take place every Friday, 8:00–9:45am in HIL E3. We are looking forward to a productive and inspiring Semester. 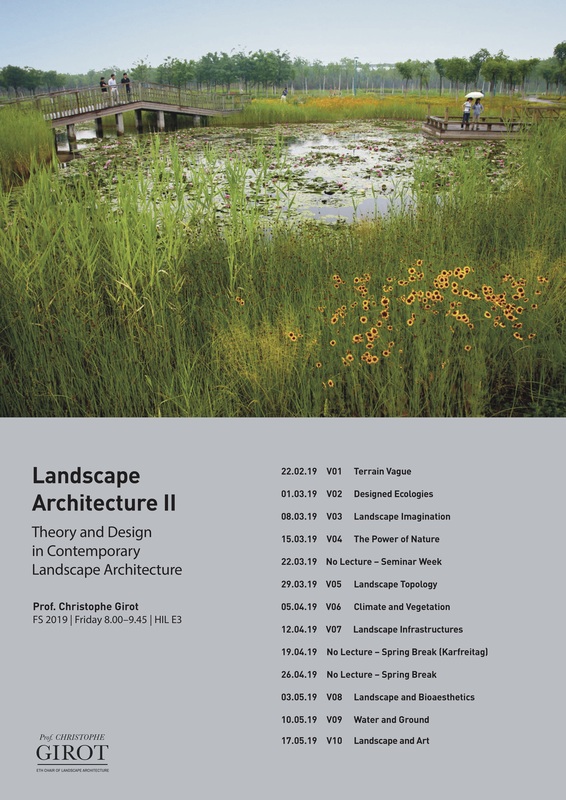 Read more about our lecture series ‘Landscape Architecture I+II’. Here you can find further Information about the Exams in Landscape Architecture I+II. 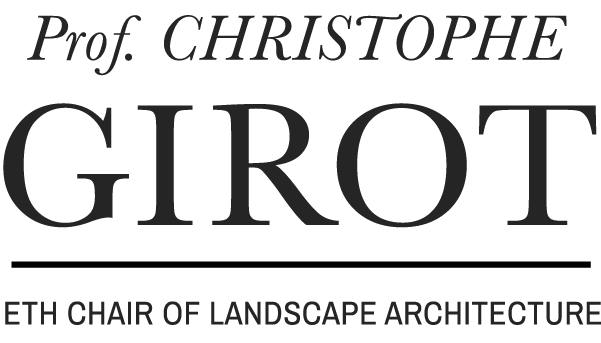 Complementary to this lecture series, Professor Christophe Girot’s book The Course of Landscape Architecture is now available.